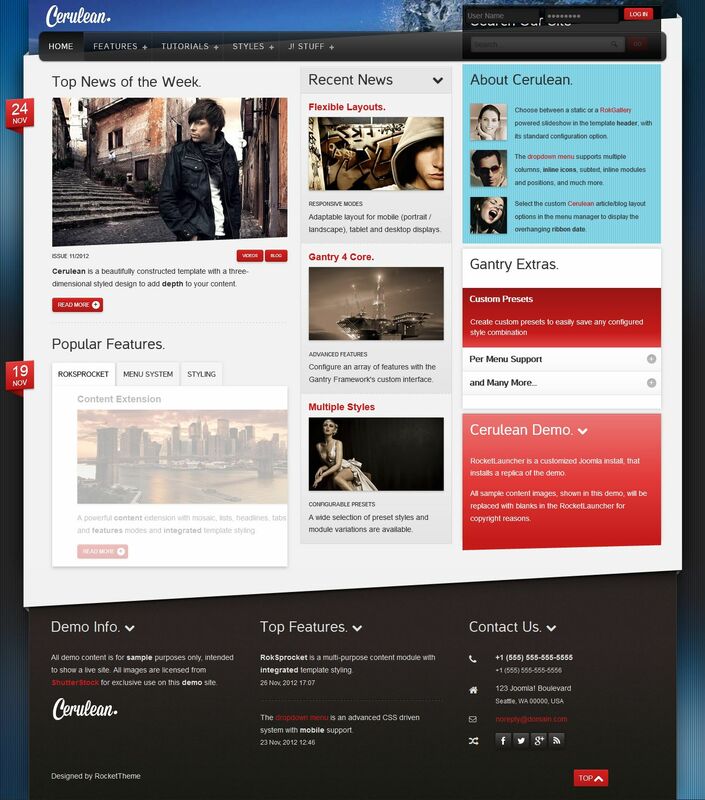 RT Cerulean - gorgeous new template developers RocketTheme, for its operation, the most advanced and modern web technology. Functional Platform Gantry Framework provides full access to the settings of the template, and also provides adaptive functions that allow the site displayed correctly on different mobile platforms. This template design studio RokSprocket, which now supports the touch of your fingers when displayed on tablet devices and provides easy viewing of materials. In the assembly is a popular component K2 to support additional styles to him who is able to increase the quality of the template. Design layout includes 6 preset styles, there are more than 70 module positions and 25 module styles. RT Cerulean is ideal for creation of sites on any topic.